With warranty expenses that exceed a billion dollars annually, the manufacturers of airliners, business jets, and propeller planes are a major sector within the warranty industry. And over the past decade, they have learned how to reduce warranty costs while increasing revenue, as demonstrated by their declining claims and accrual rates. The commercial aviation industry, specifically the manufacturers of the airliners, business jets, and smaller propeller-driven planes that fill our skies, are a major source of warranty expenses. Although some manufacturers are still government-owned or are closely tied to the national air forces of their countries, today most of the industry consists of publicly-traded corporations that publish their warranty expenses in their annual reports. The problem is, most isn't all. And what we're going to try to do this week is calculate a number for the entire airframe industry, including all those secretive government-owned and defense-oriented manufacturers, as well as all the small, young, and innovative family-owned or privately-held companies that aren't announcing either their annual revenues or their warranty expenses. We began the process by taking a look at what we know. Basically, there are three types of aircraft: commercial airlines, general aviation, and military aircraft. We know the most about the warranty expenses of the first group, and considerably less about the second group. The third group -- we're going to assume that military aircraft warranties, where they exist, are not reported by the manufacturers using standard metrics such as reserves, claims, and accruals. So let's see what we know first. There are basically only seven or eight manufacturers of new commercial airliners in the world today. Boeing Co. and Airbus Group N.V. are by far the largest, with annual revenues well above $50 billion. Together they accounted for nearly two-thirds of the entire worldwide airframe industry's revenue last year. However, their warranty expenses consume far less than one percent of that revenue. Next come Bombardier Inc. and Embraer S.A., from Canada and Brazil, respectively. They make many of the smaller regional jets used for commuter flights and short hops. But although their products are smaller, they spend proportionally more on warranty expenses. The French company GIE Avions de Transport Regional (ATR), is a partnership of Airbus and Leonardo S.p.A. that also manufactures regional jets, but it does not report its financials independently. However, Airbus does include some data in its annual reports on its joint ventures, and did in fact include some details about ATR under the "other businesses" heading, so we are able to create an estimate of its warranty expense and include it in our totals. China and Russia are challenging the status quo with their respective national aviation conglomerates: Aviation Industry Corp. of China (AVIC), and JSC United Aircraft Corp. (UAC). While they do not report their warranty expenses, they do report their revenues, allowing us to make some educated guesses regarding their warranty expenses. Antonov State Company, based in Ukraine, is the other remaining player in the airliner industry. Antonov has manufactured some of the world's largest cargo jets, as well as regional passenger jets and all sorts of vocational aircraft such as firefighting and crop-dusting models. However, political events on the ground seem to have derailed the company's recent production and sales, and opaque government ownership has prevented the release of even basic data such as annual revenue figures. We are going to assume that most of the company's recent revenue came from cargo plane leasing services, and little, if any, came from manufacturing of new (and warranted) units. Other commercial airline manufacturers of the past, such as McDonnell Douglas, Lockheed, Curtiss-Wright, Vickers, De Havilland, Fokker, Saab, Hawker, and Aerospatiale, have either left the business or have been acquired by one of the above companies. And then there are all the makers of bombers and fighter jets, which we're going to skip right over, because if they provide warranties at all, they're usually paid for by the buyers themselves under terms of the contract. In other words, military warranties are a bit like vehicle service contracts: completely optional and purchased separately by the customer. The largest four airliner manufacturers report their warranty expenses in their financial statements. Airbus reports in euro, but the other three report in U.S. dollars, so it's a relatively simple process to convert the Airbus numbers into dollars and derive worldwide totals for what turns out to be more than three-quarters of the industry. AVIC, ATR, and UAC are not as forthcoming, but at least we know their revenue. We should also note that Bombardier makes both aircraft and trains, and does not separate the warranty expenses of each line of business in its financial reports. Commercial airliners and business aircraft together account for only about half the company's total revenue. So there will inevitably be a bit of non-aircraft warranty expenses included in our total. However, Boeing and General Dynamics do in fact separate their military and commercial lines of business, so we won't be including any of their military revenue in our totals. AVIC and UAC don't separate their military revenue from their commercial airliner revenue, so that's also going to be included in our roundup. AVIC and UAC, in fact, are closely entwined with to their respective country's militaries (e.g. AVIC makes the Shenyang J-31 fighter, and the UAC conglomerate owns Sukhoi, makers of the Su-30MK fighter, Tupolev, makers of the Tu-95 bomber, and Mikoyan, famous for their MiG family of military aircraft). Therefore, we have a problem. For some companies, the unavoidable inclusion of military revenue (which doesn't generate traditional warranty expenses) depresses the claims and accrual rates of the whole. For other companies, the inclusion of non-aircraft revenue (which may generate proportionally higher warranty expenses) may raise the claims and accrual rates of the whole. Let's hope they cancel each other out. In 2016, the largest four airliner manufacturers -- Boeing, Airbus, Bombardier, and Embraer -- paid $645 million in claims and made $802 million in accruals, while keeping $2.55 billion in reserves. Their collective claims rate was a relatively low 0.5% while their accrual rate was 0.6% of their commercial product sales revenue. Together, they represent about three-quarters of all airframe revenue worldwide, and between 57% and 61% of the entire airframe industry's warranty expenses. And then there's general aviation, which is everything else that flies, but not on behalf of the world' airlines or air forces. That covers everything from sleek and fast Learjets to propeller-driven crop dusters, and actually, the vast majority of the world's daily air traffic is classified as general aviation. But the products in this category are much smaller and less expensive than the airliners, so they generate a much smaller share of the world's aviation warranty expenses. Most of the business jet makers do in fact report their warranty expenses. In fact, all four of the largest commercial airliner makers named above are also in the business jet market, as are Textron Inc. (Cessna and Beechcraft), General Dynamics Corp. (Gulfstream Aerospace Corp.), and Dassault Aviation Group (Falcon). Together, these seven companies account for upwards of 90% of all business jets sold. And they all report their warranty expenses. Put them all together and we have hard data on both the revenue and warranty expenses of upwards of 80% of the entire worldwide industry, and an even higher percentage of just the business jet segment. However, in the middle and at low end of the general aviation market, there is a noticeable shortage of warranty data of any kind. Yes, we have warranty data for Cessna and Beechcraft, but not for any of their competitors -- and there are at least 20 of them worldwide. Some of the largest general aviation manufacturers include AVIC's Cirrus Aircraft Corp. subsidiary; Austria's Diamond Aircraft Industries GmbH; Italy's Costruzioni Aeronautiche Tecnam S.r.l; Germany's Flight Design GmbH; Switzerland's Pilatus Aircraft Ltd.; France's Daher; Australia's Mahindra Aerospace; Piper Aircraft Inc. (now owned by the Sultan of Brunei); Mooney International Corp.; and CubCrafters Inc.
Then there are some specialists. Quest Aircraft Co. makes planes that can take off or land almost anywhere in the wilderness. American Champion Aircraft Corp. and Extra Flugzeugproduktions und Vertriebs GmbH make aerobatic planes. Waco Aircraft Corp. makes old-fashioned biplanes. Thrush Aircraft Co. and Air Tractor Inc. make crop dusters. We will have to construct both revenue and warranty expense estimates for each of them. Textron presents another complication. First, the company's product line includes much more than just Cessna and Beechcraft. Textron also manufactures helicopters, golf carts, utility vehicles, lawn mowers, tools, and automotive parts. Textron Aviation is responsible for only about a third of the company's total revenue. Is it also responsible for only a third of Textron's total warranty expenses? Also, as we reported in the April 13 newsletter, the company recently began to report its product warranty and extended warranty expenses separately, but did so retroactively only back to 2013. But they still report only one set of company-wide warranty expenses for all their products. So inevitably, we are going to include some non-aviation warranty expenses for them as well. There's also a question of what to do about the suppliers of parts and components such as avionics and engines? Some of the largest warranty providers of all, such as United Technologies Corp. and General Electric Co., fall into this category, as do international companies such as Rolls-Royce Holdings plc. And there are many others, such as Garmin Ltd. and Rockwell Collins Inc., which provide their warranties not to the airframe manufacturer, but directly to the buyer. In other words, it's not like the passenger car industry at all, where suppliers account for only a tenth of the warranty expenses and OEMs foot 90% of the bill. In aviation, the warranties for engines, avionics, furnishings, and many other parts and components are issued directly to the buyer. For a jumbo jet, the paperwork can fill a three-ring binder. The net effect is a worldwide aviation supplier industry whose warranty expenses may equal or even exceed the size of the airframe manufacturers themselves. Within the U.S. the sales revenue and warranty expenses of the aviation suppliers does actually exceed those of the OEMs (see the April 14, 2016 newsletter for more). However, in Europe and Asia, they're frequently one and the same company, with one division supplying another division. Therefore, there's an increased mixing of both airframe and supplier revenue and warranty expenses, which external observers such as us cannot separate. In other words, this is not going to be a clean roundup of all the world's airframe-only warranty expenses. But nothing's perfect. Let's first look at the amount of claims paid last year by the world's airframe OEMs. Out of the top 10 manufacturers, seven reported their warranty expenses while three did not. So we will have to fashion estimates for those three (UAC, AVIC, and ATR), as well as for all the other general aviation OEMs. In 2016, claims payments by the airframe OEMs fell by about $68 million to a $1.14 billion worldwide total. We're certain of about 80% of that total, and are making estimates for the remaining 20%. In the top 10 pie chart below, Boeing comes in first with a claims total of $309 million, with Bombardier close behind with a claims total of $223 million. Using a dollar-euro conversion rate of $1.11, we're estimating that Dassault paid $115 million in claims while Airbus paid $81 million. That's the opposite of the relationship between them in terms of revenue, but this is what the companies reported. By our calculations, Dassault had a claims rate of 5.3%, while Airbus was at 0.2%. So one was unusually high while the other was unusually low. Both saw sales increases, but Dassault's claims payments rose faster than sales. In fact, Dassault saw its annual claims payments soar by more than a third from 2015 levels, while Airbus saw its annual claims payments drop by almost a quarter from year to year. Others that paid out much less in claims included Embraer (-41%) and Gulfstream (-24%). Sales also increased for both companies, so their claims rates as a percentage of sales dropped, to 0.6% and 1.1%, respectively. As was mentioned, we have to include some non-airframe claims payments for Bombardier and Textron. And the figures for AVIC and UAC also include their military jets. But the claims payments for Boeing and Gulfstream do not include any military hardware. So in a manner of speaking, one cancels the other out. 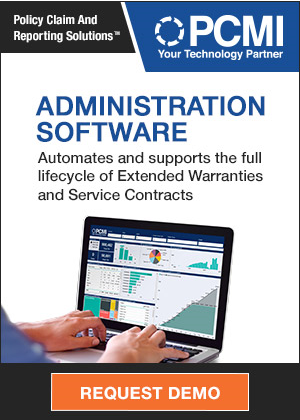 For warranty accruals, the picture changes slightly. Dassault falls back to eighth place with its $56 million accrual total, while Airbus moves up to fourth with its $96 million accrual total. Boeing remains at the top with its $356 million accrual total, while Bombardier follows at $298 million. Once again, we have firm figures for about 80% of the world's total airframe accruals, and have to make estimates for the remaining 20%. Of the top 10 players named in Figure 2, seven reported their warranty expenses, while AVIC, UAC, and ATR did not. And once again, Embraer reduced its accruals by the greatest percentage among all the warranty-reporting OEMs, cutting its outlays from $84 million in 2015 to $52 million in 2016. But Dassault reduced its accruals by almost a quarter, and Bombardier, Boeing, and Gulfstream also cut their provisions. Figures 3 and 4 reorganize the claims and accrual data into known and estimated groups. As was mentioned, in 2016 the seven OEMs for which we know their warranty expenses accounted for about 80% of the world's total. But in previous years, such as 2009 and 2010, they accounted for well over 90% of the world's airframe warranty expenses. That, we think, is a function of the fickle nature of general aviation sales, compared to the relative stability of airliner sales, which are normally planned years in advance. From 2007 to 2009, for instance, small plane sales fell by half as the effects of the recession took hold, while Boeing saw a slight increase and Airbus saw a slight decrease in sales. That's because the airliners sold in 2009 were ordered years before, when times were good, and most of those orders weren't canceled. But a new Cessna four-seater for the weekend getaways? It can wait. Industry sales actually bottomed out in 2010, long after the alleged end of the most recent recession. Meanwhile, total industry sales haven't risen or fallen by much since 2014, but these are supposed to be good times for the airlines. The good news is, as we will show in the next three charts, that the airframe manufacturing industry really seems to have done a remarkable job in the last four or five years of controlling and reducing their warranty costs, while increasing or at least maintaining sales volumes. While some specific plane makers such as Dassault seem to have hit a rough patch, in general the industry's warranty expenses are down and sales are steady. And those are signs of good times by anybody's measure. In Figure 3 we're tracking the annual claims payments of the world's airframe makers. As is obvious, claims payments peaked in 2013, at a level of $1.71. A look back to Figure 1 confirms that claims have since then fallen to a $1.14 billion level. And the decline has been both gradual and constant. We're dividing the annual totals into two groups, based on what we know for sure from the financial statements and what we're estimating for the non-reporters. The warranty-reporters comprised over 90% of the claims total from 2009 to 2011, but their share has been steadily sinking as lots of small, young, and innovative general aviation companies see their sales grow, and as the Russians and Chinese continue to make progress with their export efforts. With warranty accruals, the peak year by a very small margin was 2013, although that observation is based on a big jump in accrual estimates for those small, young, and innovative general aviation companies. The large and old manufacturers that do actually report their warranty expenses saw accruals peak in 2012. But whichever it is, the good news is that accruals have been declining ever since. As was mentioned, the accrual total in 2016 was $1.31 billion. And that was down by about 12% from 2015 levels, driven primarily by declines in measured accruals. The size of the estimated portion was largely unchanged. In fact, it's exceeded $200 million a year for the past four years, after peaking in 2013. The unseen metric is sales revenue. Most of these manufacturers are publicly-traded companies, so finding this detail in their financial statements is a straightforward process. But some of these companies are government-owned, and many of the small, young, and innovative general aviation companies are still family-owned or privately-held. And one company -- we aren't entirely sure if they're still manufacturing new airplanes. However, we fashioned what we think are reasonable sales estimates for each of these companies, and matched them to our real or imagined warranty expense totals. And as can be seen in Figure 5, they tell the same story: warranty expense rates have peaked in the aviation industry, and are now declining. According to these metrics, the peak was in 2011, when airframe manufacturers paid out 1.1% of their revenue in claims, and set aside 1.6% of their revenue as accruals. Last year, they set aside 0.7% in accruals and paid 0.6% in claims, which is slightly higher than the airliner-only average, but there's a price to be paid for being small, young, and innovative. Still, even with the new companies that are a bit behind on the learning curve, the cold hard fact is that for the second year in a row, the airframe manufacturers have set a new record low for average warranty expense rates. Some such as Airbus are reporting unbelievably low expense rates. But Boeing, Embraer, and Textron are also reporting expense rates under one percent. Those are incredible success stories. CareGard Warranty licenses PCMI's Policy Claim and Reporting Solutions. Cross Country Home Services and ServiceBench launch customized system. Sears to sell Kenmore appliances on Amazon.com website. Texas builders give award to StrucSure Home Warranty VP D'Ann Brown. India's Real Estate Act mandates 5-year warranties for new buildings. BBB puts Home Warranty of America on the probation list after complaints. GWC Warranty releases Dealer Portal 2.1 online resource center. Warrantech and ServicePower launch repair scheduling service. AmTrust appoints J. Daniel Hickey as Exec VP of Business Development. VirtualArmour International launches Cyber Warranty program. The Money Coach and American Home Shield offer money-saving tips. The Warranty Group creates Specialty Solutions Group, promotes EVP. Safeware reduces turnaround times by automating its claims process. Honda to replace Accord battery sensor after fires and warranty claims. Asurion wins 2017 TDWI Best Practices Award for its data warehouse. Tavant offers replays of Improving Supplier Recovery webinar. Warrantech & The Warranty Group nominated for TWICE VIP Awards. Using third party printer cartridge refills can void your warranty. GWC Warranty promotes Wendy Pratt to AVP of strategic alliances. StrucSure Home Warranty hires Carl Muha as VP of underwriting & claims. Michigan highway is the poster child for concrete failure. Alpha Warranty Services gets award for workplace practices. Alpha Warranty Services COO Jeremy Lindsey wins Utah business award. Tesla adds service centers & technicians as Model 3 goes on sale. Apple Watch warranty lengthened to 3 years. Reporter drops phone in toilet, tries making warranty claim. Kingman cancels contract with Service Line Warranties of America. Connecticut Governor vetoes window warranty bill. Subaru lengthens 1.5 million transmission warranties. Whirlpool's risk manager fixes issues before they become problems. Mitsubishi Canada offers promotional 10-year/160,000-km warranties. Suzuki lengthens its warranty in South Africa to 5 yrs/200,000km. Ryder offers 30-day warranty on pre-owned vehicles. Expiring warranty scam resurfaces in New Orleans. Fortegra and Telispire announce mobile device protection plan. EU prepares Right to Repair bill to fight short product lifespans. The Warranty Group promotes Sean Kent to head of account management. Honda Australia introduces 5-year warranty. Polaris faces $120 million in warranty and recall costs. Apple redesigns its My Support webpage. AMD lengthens Ryzen Pro CPU warranties from 1 to 3 years. What to know about buying a home warranty. Virgin Mobile gives LG G4 units in Canada a 9-month warranty extension. Extended warranty expires while driving to mechanic for repairs. Survey says Land Rover, Jaguar & Vauxhall have the most claims. GWC Warranty hires Andrew Roke as its new product manager. National Truck Protection covers truck refrigeration units. Takata Corp files for bankruptcy protection in the US and Japan. Barron's report suggests shares of Assurant could double in price. Choice Home Warranty loses appeal of contract clause to compel arbitration. What to do if you break your Samsung Galaxy S8's screen. Dana gets supplier quality award from Paccar. U.S. Copyright Office report endorses right to repair. Sears Canada files for bankruptcy protection in Ontario. RAC introduces Platinum Plus extended warranty plans. Negative equity adds to GAP losses, study suggests. IDIS announces 5-year warranties for its network video recorders. AppleCare+ for Mac & iPhone must be bought within 60 days of purchase. Toyota Financial Services honored by Points of Light Foundation. United Wagon Co. opens railcar warranty service center in Estonia. Pella updates wood warranty to match fiberglass and vinyl. Extended warranty class action seeks $80m from McMillan Shakespeare. Epic Insurance Brokers and Consultants acquires After Inc.
New state laws target caller ID scams, misrepresented car warranties. Safeware automation engineer named to Dealerscope 40 Under 40 list. Tesla offers 2-yr/100,000-mile warranty on pre-owned Model S.
Extended warranty startup Upsie wants to compete with retailers. Trustmark Warranty details vehicle service contract sales data.